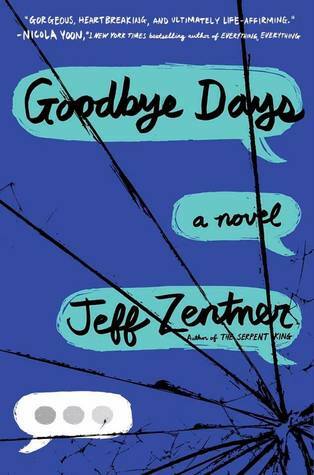 I absolutely loved Jeff Zentner's debut novel, The Serpent King, and I could not wait to read his new book Goodbye Days. Many thanks to Random House and Netgalley for an advanced reader's copy of the book. Goodbye Days is now published and available at bookstores and libraries near you. Description: One day Carver Briggs had it all—three best friends, a supportive family, and a reputation as a talented writer at his high school, Nashville Academy for the Arts. The next day he lost it all when he sent a simple text to his friend Mars, right before Mars, Eli, and Blake were killed in a car crash. Now Carver can’t stop blaming himself for the accident, and he’s not the only one. Eli’s twin sister is trying to freeze him out of school with her death-ray stare. And Mars’s father, a powerful judge, is pressuring the district attorney to open a criminal investigation into Carver’s actions. Luckily, Carver has some unexpected allies: Eli’s girlfriend, the only person to stand by him at school; Dr. Mendez, his new therapist; and Blake’s grandmother, who asks Carver to spend a Goodbye Day with her to share their memories and say a proper goodbye to his friend. Review: An innocuous text asking when his friends will pick him up from work upends Carver's life and snatches his three best friends away from him. Mars, distracted by replying to the text, crashed into a stopped truck, killing himself and Carver’s two other best friends, Blake and Eli. Now Mars’ father, a judge, has called on the district attorney to open an investigation and weigh charges of criminally negligent homicide against Carver. While I didn't care for the suspense of whether or not the investigation will happen and what will happen to Carver, I did understand why this plot device was used in the book, which is not to trivialize the horrible car crash. I think it helped the reader to contextualize Carver's emotions and inner turmoil. Needless to say Carver is mess. 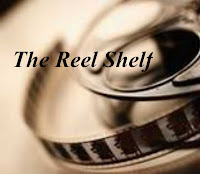 He is riddled by guilt, feeling responsible for his friends' loss, and friendless. The investigation amplifies these emotions and stress, causing Carver to have panic attacks, which send him into therapy. Zenter does a wonderful job in creating empathetic, flawed, and diverse characters. Once again it is his characters that are the highlight of the book. I liked Carver and did not find him whiny. He is introverted and it is clear that his friendship with Mars, Blake and Eli brought him out of his shell as we see in his flashbacks. I also loved his close bond with his sister. It's very rare in YA that we have solid sibling friendship/bonds. Carver's friendship with Jesmyn, Eli's girlfriend, felt natural and awkward as they are both dealing with their grief. Carver's growing attraction to her and the possibility of being more than friends with Jesmyn also felt real. My favorite parts of the book, however, is the actual Goodbye Days as Carver attempts at atonement by spending the day with his friends' loved ones. Each Goodbye Day brings Carver's friends alive as he and their loved ones share memories and discover new aspects of the boys. While the Goodbye Days are met with mixed success, it helps Carver navigate his own grieving process and feeds his subconscious desire for punishment. I also appreciated the inclusion of therapy and medication where Carver talked to and open up with his therapist because it is important to show teens that mental health and getting help is not something to be ashamed of. Goodbye Days is a poignant, realistic read that made me choke up a few times with emotions. While I didn't love it as much as The Serpent King, I would really recommend picking it up. Words of Caution: There is some strong language, crude sexual humor, drug abuse and child negligent is mentioned in the story. Recommended for Grades 9 and up. I loved Serpent King and want his next novel to be amazing, too. I may wait a bit to read this one so I don't compare them too much. But I like the premise of a texting accident and its repercussions as it is a really important message.